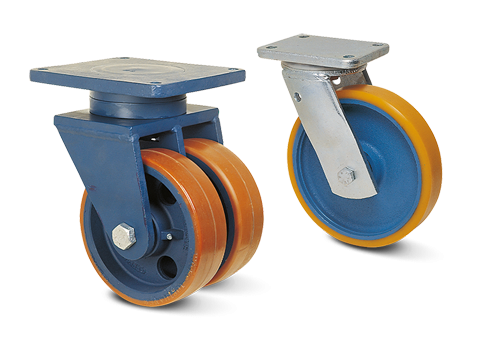 Industrial castors Archives - Roda S.A. 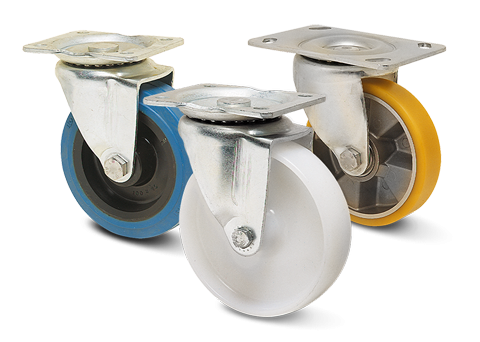 Stainless castors are used in the food, milk and chemical industry where anti-corrosive protection is absolutely necessary. 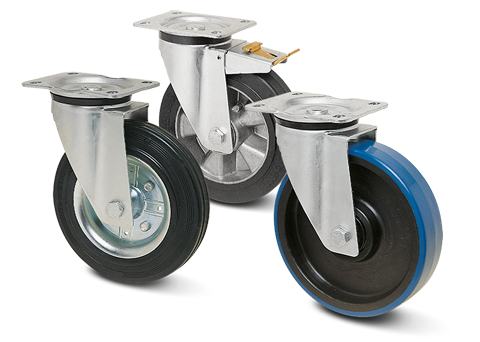 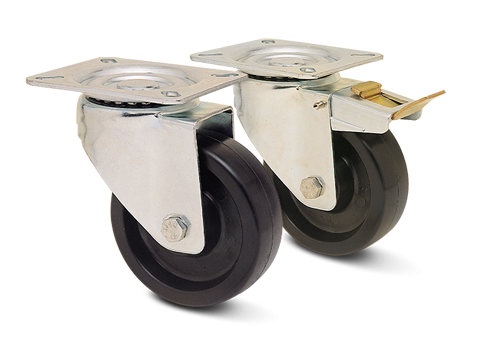 Zinc plated heavy duty castors with load capacities from 250Kg up to 1000Kg each, for demanding applications. 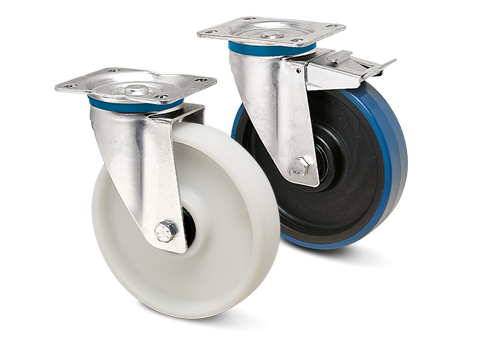 Castors made from thick steel welded support with load capacities from 300 Kg up to 2 tones each for extra heavy duty applications. 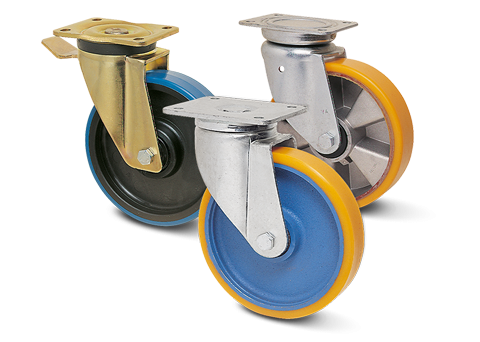 Zinc plated castors for strong and heavy applications in cases where we want relatively small wheel diameter and low height. 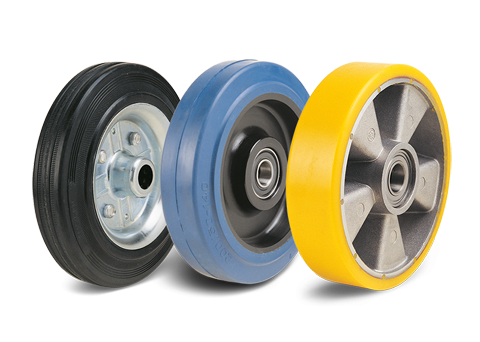 Loose wheels of different material from 80mm diameter up to 420mm, for load capacities from 50Kg up to 4tones.